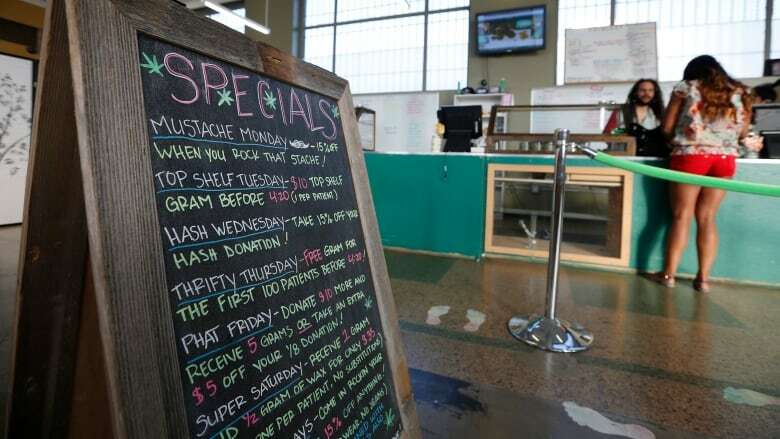 Marijuana entrepreneurs who've been selling the drug for years see a conundrum as legalization draws near — close up shop now and leave their customers in a lurch or stay open and face blacklisting once governments open the floodgates. Justin Loizos is a cannabis convert. After dealing with chronic pain for years as a result of multiple sclerosis, he eventually found the medication he needs in the form of medical marijuana. 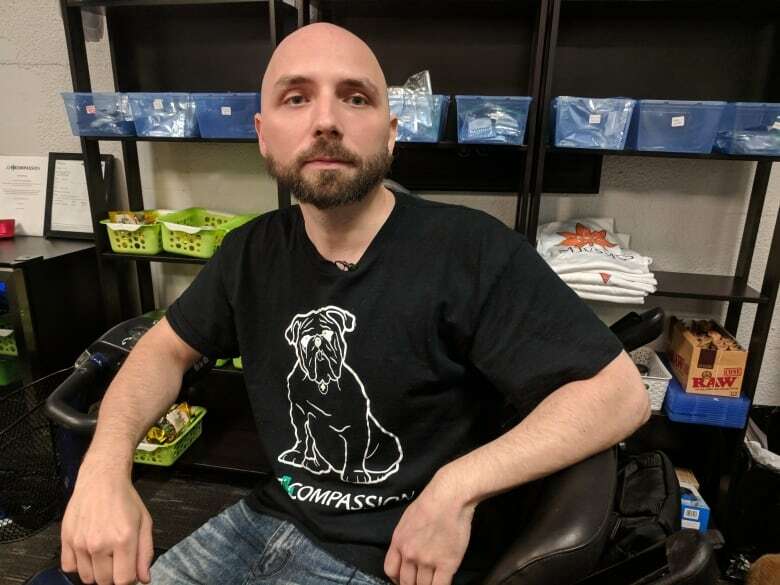 He's such a believer in the drug's potential that he launched Just Compassion, a dispensary providing medical marijuana to a small stable of clients in the Toronto area. He makes sure his clients have a federal license to buy and his supply comes from licensed growers. But even he says he's operating in the "grey area" between legal and illegal. He's not obtaining product from black market sources or selling it to recreational users, but he is running afoul of federal regulations that dictate medical marijuana can only be shipped to legitimate customers through the mail. Legalization on Oct. 17 is going to bring big changes to the industry, and people like Loizos are eager to be on the right side of the law when the day they have been waiting for finally comes. But in Ontario, where his store is located, the government has been unequivocal — anyone involved in the illegal side of the business today will be shut out once it's legal. "A lot of businesses are a little bit nervous right now," says Tania Cyalume, a former co-owner of another Toronto-area dispensary which was called Queens of Cannabis. Loizos says his lawyer "wants me to take the route of least resistance ... the safest path," he says. "I'm trying not to screw myself in the sense of trying to go as legal as possible." Despite the risks, he's continuing to give his customers product because they need it and he says some have no other reliable way of obtaining it. Cyalume also wants to open for business once the legal switch gets flipped, but she's staying much further away from the edge until then. About 90 per cent of dispensaries open today are owned by people who want to work in the legal framework, she says, adding that recent raids have moved many dispensaries back underground. Cyalume decided not to reopen her retail store because she doesn't want to be blacklisted once it becomes legal, but she also fears being left behind. "As it gets closer, it does feel like there's some pressure to find a location and at least hold that location down as a spot." Ontario will sell cannabis exclusively online via the government-owned Ontario Cannabis Store as of next month. Private retailers can apply to sell as of the spring of 2019, once regulations are updated. There are big risks of running afoul with the law. Under a mishmash of old municipal rules, people running an illegal pot shop can be fined about $500 in Ontario. Under the new rules, that will jump to half a million dollars. "It's open season on black-market dispensaries," says Jeffrey Lizotte, the CEO of Next Wave Brands and a lobbyist for the cannabis industry. "Yet the quandary we have is that medical patients are allowed to use cannabis already." Lizotte knows some dispensaries that rack up $40,000 a day in sales. 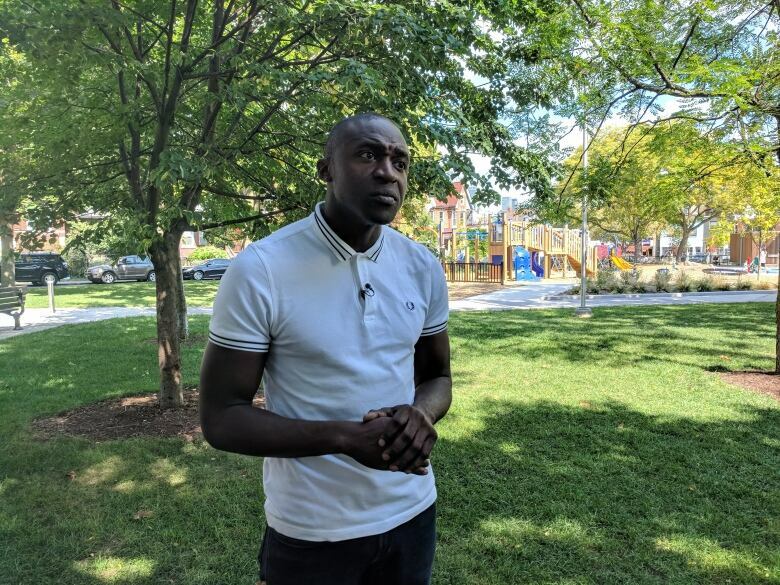 "You can imagine that dilemma for a black-market dispensary operator who hears the Ontario government say 'if you want to participate in the legal market, shut down now,'" he says. "They have a big question on their hands because they're making a lot of money right now but it pales in comparison to what they could make in the legal market," says Lizotte, who works with companies trying to stickhandle their way through legalization. Lizotte thinks governments and cannabis dispensary owners want the same thing — a safe, regulated industry, out of the hands of criminals. The best way to achieve that is for governments to give grey area players a path out of the wilderness, he says. "The market is the most effective tool in displacing the black market," he says. "People aren't just gonna leave the dealer they been buying pot off of 10 years or the person that they know just to switch to the legal channel." Marijuana advocate Tyler James agrees. The head of activist group Ontario Cannabis Consumer and Retail Alliance says most dispensaries want to be on the right side of the law, but they worry about leaving their existing customers in the lurch until details can be sorted out. If the government wants to help users while creating legal jobs and killing off the black market, they "need to take an inclusive approach," he says. It's not hard to imagine what the alternative might be. "Even after Prohibition, it took decades for the speakeasies to be completely eliminated," he says, citing the ban on alcohol in the 1920s and early 1930s.